Home News Is your site at risk from historic Home Guard weapons? Is your site at risk from historic Home Guard weapons? Following several recent UK discoveries of SIP Grenades, Fellows International is keen to highlight the importance of safety when dealing with the risks posed by them and hazard reduction if they are discovered on your site. Despite being up to 80 years old these SIP Grenades can still be extremely dangerous. Their makeup consists of a sealed half-pint glass bottle containing a combination of phosphorous and benzene. When thrown, the glass would shatter exposing the contents to air resulting in instant ignition. Fellows follow the strictest safety protocol and provide their UXO Engineers with appropriate Personal Protective Equipment (PPE). This kit consists of flame resistant overalls, respiratory protection, fire resistant gloves and hood and protective boots. December's discovery of 200 SIP Grenades on a new ice rink development in Cambridge highlights that, even after all this time, the threat of these often unknown risks needs to be taken seriously and dealt with by professionals. In April 2017, A Fellows UXO Engineer was able to assist on a site in Trowbridge, Wiltshire when several SIP grenades were discovered. Fellows were able to minimise downtime on the site and dealt with the hazardous discovery in a safe and efficient manner. The extent of the SIP Grenade problem is unclear as during the war the Home Guard are known to have hidden caches of them in case of German invasion. As a precaution not all locations were officially recorded and were forgotten after the war. They are all too frequently discovered by builders when digging foundations. 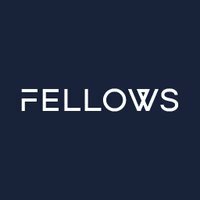 Fellows can undertake a full risk assessment prior to any groundworks and can supply a UXO Engineer equipped with the necessary PPE to ensure the appropriate procedures are undertaken and the risk is reduced to ALARP (As Low As Reasonably Practicable). To discuss any UXO Risk Management projects in the UK or abroad call 08000 424 424.